Be the first to hear about their new releases and deals. Download the Booksprout app and search for Charlotte Fitzwilliam today! 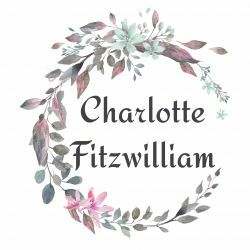 Charlotte Fitzwilliam was raised in Manchester, England and graduated from University in London with a Masters of English, which focused on 18th Century and Romantic Studies. Her passion since young adulthood was reading and writing romantic regency stories. Charlotte feels like she is living a dream life as she often brings coffee or tea to the country side. She sits beneath a tree with her laptop to dream and write about proud dukes and ladies in long dresses falling in love.